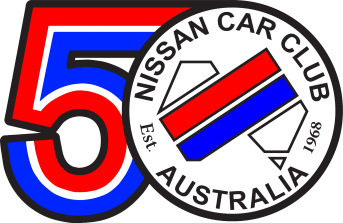 The Nissan Car Club Australia Inc. was founded in 1968, originally as the Datsun Car Club Australia. In 1982, the club changed its name to Nissan Car Club Australia - to better suit the membership of the club and the retirement of the Datsun brand in Australia in the previous year. Our club is proud to be the club of choice for many enthusiasts, motorsport competitors, and social members of all ages. Our club provides many benefits including access to CAMS sanctions motorsport events, social events and access to the VicRoads Club Permit Scheme for historic vehicles. As a motorsport focused club, we're proud to note that our active members include champions from club level through to national level, and also includes many competitors who have enjoyed success in international competition.